Do you live or work with an introvert? Married to one? Have an introverted friend or relative? An introverted child? Do you find them maddening utterly charming but hard to understand? Here are 7 things about introverts that will make your life easier, your relationship better, and your hair shinier. Note: There are no pure introverts or extroverts, but rather, there’s an introvert-extrovert spectrum on which people fall. I’m using the terms introvert and extrovert to refer to people who fall toward one extreme more than the other. Interesting note: Introverts are more likely to notice the typo in this meme. Why? See the link in the footnote* to this section. Maybe you think being an introvert is a bit like being a hipster – a fad and to be honest kind of annoying. Your introvert won’t go out when you want, or talk as much as you’d like, or be as adventurous. You wish they’d come out of their shell. At least long enough to try bungy-jumping. Or even just answer their phone for goodness sake. In fact scientific research shows the difference between introverts and extroverts is biologically based, right down to the amount of grey matter in our brains. Where a person falls on the introvert-extrovert spectrum is one of five fundamental aspects of who we are. So your introvert’s introversion is not some bogus classification like their star sign or BMI. It’s an intrinsic, scientific, neurological part of them. Scientific research shows the difference between introverts and extroverts is biologically based, right down to the amount of grey matter in our brains. Although introverts and extroverts differ in many ways, the difference at the heart of many relationship issues is one of stimulation and arousal. Uh no, this is a different issue of stimulation and arousal so if Google brought you here by mistake, no hard feelings. Moving on. Extroverts have a lower baseline level of arousal than introverts. They need to turn up the stimulation dial otherwise they can feel depressed, bored, and uncomfortable. This is why they seek out adventure, challenge, and socialising. Why they like noise and lights and multiple things going on and lots of balls in the air. Why they crave them. In contrast, introverts have a higher baseline level of arousal. They need to turn down the stimulation dial or they can feel stressed, anxious, and uncomfortable. This is why they seek out solitude and internal activities like reading and mental work. Why they can’t handle too much going on. The same drive to feel comfortable in your own skin compels both introverts and extroverts. It simply drives introverts and extroverts in different directions. Winter is coming. A great time to stay in yay! If you’ve been trying to convince your introvert to come out of their shell, be more adventurous, or socialise more, then you’re probably picking little bits of brick out of your forehead about now. You’re coming from a place of love: You feel happy when you do these things, and you want your introvert to be happy too. Plus we tend to conceptualise a happy person as gregarious, out-there, social. But the thing is, introverts enjoy solitude. They like their own company. They’re happy observing rather than participating. They don’t need to be rescued or fixed or changed any more than a gregarious, always-busy, adventurous extrovert does. They’re not depressed, they’re not miserable, they’re just lower key. And they want to be happy in their own way. So let them. Note: Of course you can have a depressed introvert, but that’s a whole other thing and beyond the scope of this article. Introverts enjoy solitude. They like their own company. They don’t need to be rescued any more than a gregarious, adventurous extrovert does. Many introverts have a Masters in Leaving Parties Early and also a PhD in Avoiding Phone Calls. Because introverts have a higher baseline level of arousal they can easily become overstimulated and feel overwhelmed – a state I call introvert overload. This is entirely to do with depleted psychological resources. It’s like a battery that runs out of juice and needs to pop out of the remote and slot into a battery charger and refuel. The battery is not mad at anyone. It hasn’t lost interest in the remote. It doesn’t hate all electronic devices. Just let it quietly recharge and it will be back powering your Netflix in no time. I know it can feel personal when someone says they need time and space. But if they tell you it’s because they’re suffering introvert overload and they just need to reset their psychological systems to normal, take a chance they’re telling the truth and see what happens. They will probably love you more for it. The battery is not mad at anyone. It hasn’t lost interest in the remote. It doesn’t hate all electronic devices. Just let it quietly recharge and it will be back powering your Netflix in no time. Introverts are famous for saying Yes! But quietly, and to very specific, often pretty mellow things. A good way to think about this difference between introverts and extrovert is the concept of equilibrium. We all have a level of socialising-versus-solitude that feels good. The baby-bear spot. The sweet spot where we feel neither understimulated/depressed/bored nor overstimulated/stressed/anxious, but just right. And we all feel happier when we hover around our personal level of equilibrium. The more extroverted you are, the more likely this level will be found in a mix that has plenty of activity, sociability, adventure, and spontaneity. The more introverted you are, the more likely your equilibrium level will involve plenty of solitude, quiet activities, and solo pastimes. Wherever you fall on the introvert-extrovert spectrum, accepting yourself for the way you are helps you make decisions that keep you in your sweet spot. And this self-acceptance makes you more willing to accept other people for the way they are too. Whether introvert, extrovert, ambivert, or whatever. Which means more happiness and acceptance for everybody. Self-acceptance makes you more willing to accept other people for the way they are too. Whether introvert, extrovert, ambivert, or whatever. To a non-introvert, the introvert’s resistance to socialising and joining in can seem like misanthropy. Why do you hate people, you want to ask. How did your heart get so cold, you whisper to yourself, your voice trembling from the emotion of it all. It’s closer to the truth to say that introverts feel too much. Introverts have a higher baseline level of arousal than extroverts, remember. Plus they literally use up more mental resources scanning and processing external stimuli. Which means being with people can take a pretty big psychological toll. So it’s not that introverts don’t like people, it’s that they find the experience of being with people very intense – not unlike the feeling of too much noise and light. This sense of overstimulation pushes them into the red zone where the psychological sirens start to scream. Considering this, it makes sense that introverts save their people time for the people who really matter. It’s not that introverts don’t like people, it’s that they find the experience of being with people very intense – not unlike the feeling of too much noise and light. I think he was more compelling with his shirt off. More eloquent, somehow. If an introvert has sent you to this article, it’s because you mean a great deal to them. Because introverts get easily peopled-out, they tend to focus their energies on the relationships that matter most. They can be reserved or even aloof with the vast majority of people. It’s just easier than trying to explain. But if they’ve sent you here, then they want you to understand. You matter to your introvert. 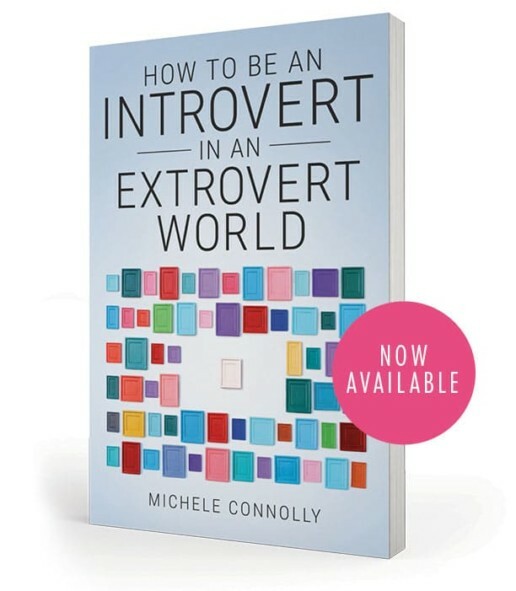 If you take just one thing from this article then, remember that the same drive that compels extraverts to want to be with people compels introverts to want to be alone. You matter to them – they’re simply wired differently and they show they care in another way. And their way of showing they care may be asking you to read this, so you can understand each other better. Because introverts get easily peopled-out, they tend to focus their energies on the relationships that matter most. If they’ve sent you here, then they want you to understand. You matter. Well, if this all makes sense, then let the introvert in your life know. Go drop in on them spontaneously. Suggest a big impromptu slumber party. Or call them up and have a good old long chin-wag. The eternal introvert mystery: Why do people keep asking me what’s wrong? Oh and one last thing before you go – use a good conditioner. Wow. This is very interesting. I fall as an ambivert but can fall into introvert when overestimulated or overwhelmed by people. but my husband Is an extrovert and we struggle with spending social time with others. Any tips for people who are married to intro/extrovert? I think this makes social events very hard for us as we expect different things at them. And have totally different tolerances to group things. Hi Joanna. You’re the second person recently to ask about introvert-extrovert relationships, so that’s definitely on my list!